KNOW when you hit the target! Do you want a target that instantly lets you know you are on the mark? Are you tired of shooting paper targets, cans, or steel spinners? Well friend, this is your lucky day. You've found the right place. 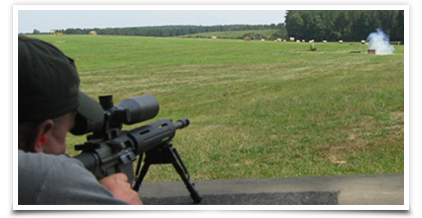 Watch our videos and you will see why people enjoy shooting our targets so much. Give us a try - you won't be sorry! Buy targets in easy single, five or ten packs as well as southern thunder t-shirts and decals! Watching videos of SouthernThunder in action is the next best thing to using it yourself. Check out the events we attend and/or sponsor throughout the year. Safety first with Southern Thunder! Please check out our direction page before use.